OKEMOS - Candy, costumes and cameras! HOMTV is hosting its Halloween Studio Fun House this Saturday a part of the Halloween Adventures. Come out and tour the studio and get a treat. From 10 am until 1 pm you can explore the magic behind the television screen, read the news from the teleprompter and transport yourself anywhere on the green screen. This event will be open for people of all ages so be sure to come out and celebrate the Halloween spirit with HOMTV. The studio can be found inside the Meridian Township Municipal Building located at 5151 Marsh Rd. Okemos, MI. 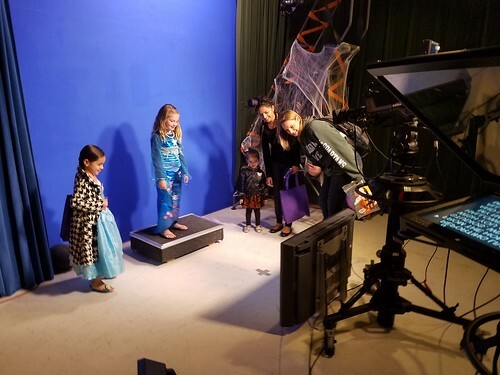 Along with the HOMTV Halloween Studio Fun House, Meridian Township will be hosting other events for their Halloween Adventures including the Harris Nature Center Halloween Adventures, Meridian Farmers’ Market, Police Department Open House and Halloween in the Village. There will also be a chance to win $100 worth of Harris Nature Center registrations in 2019 if the Meridian Township Halloween Adventures card is completed fully by going to all 5 events and dropping it into the PUMPKIN BUCKET at your last stop.